But, on a lighter note, tonight is once again Barnsdall Fridays Weekly Wine Tasting with Silverlake Wine – my new favorite pastime. 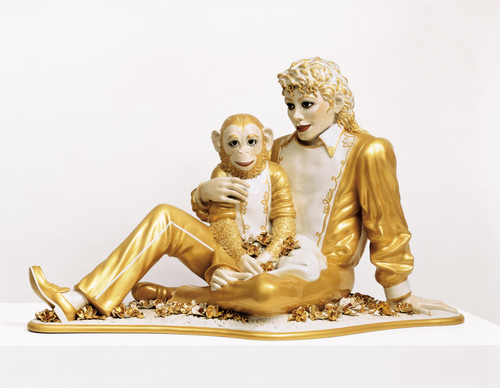 While LA is known to suffer from a lack of public space, Barnsdall Fridays attempts to make up for this negative. And if I were you, I would check it out. Barnsdall is one of LA’s best-kept secrets. Barnsdall Art Park is the site of Frank Lloyd Wright’s infamous Hollyhock House. Originally owned by Aline Barnsdall, the park rests at the top of Olive Hill, near the intersection of Hollywood and Vermont, and is now owned by the City of Los Angeles. Barnsdall is also home to the Junior Arts Center. If you enjoy laying on soft grass, viewing the Hollywood sign and Griffith Observatory, drinking delicious wine, listening to soothing music, and surrounding yourself with others who enjoy the exact same things, this is the event for you. And who can pass up a juicy dog from Let’s Be Frank, followed by a architecturally-famed ice cream sandwich from the folks at the Coolhaus mobile truck. 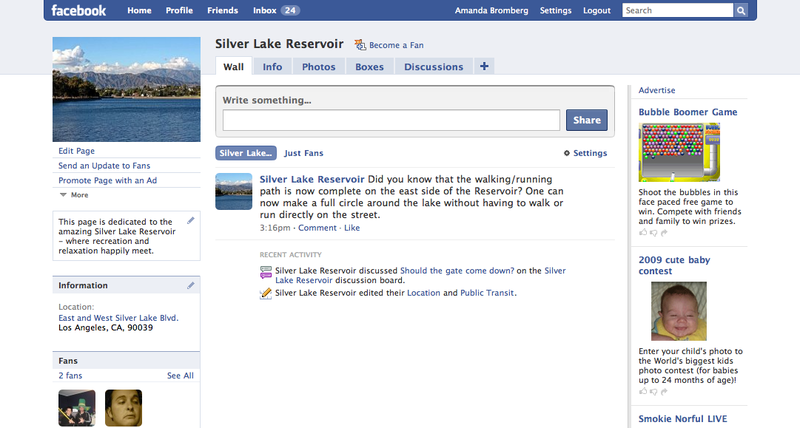 Please check out my newly created Facebook Fan Page for the Silver Lake Reservoir. 75% of the respondents have taken public transportation in Los Angeles, with Rapid Bus being the most popular form of transit for the respondents (66.7% of the respondents use/have used Rapid Bus more than any other form of Los Angeles public transportation). 100% of the respondents support the funding of greater public transportation throughout the Los Angeles region. Underground Subway and Light Rail tied for being the type of transportation to which the respondents most wish to see funding allocated. Local Bus and Rapid Bus received the most votes for receiving the least amount of funding. 90.0% of the respondents would prefer to see high-speed rail from Los Angeles to San Francisco, rather than from Los Angeles to Las Vegas. When asked which four streets in Los Angeles should have a dedicated bus lane for bus rapid transit, the respondents agreed most on Wilshire Blvd. (8 votes total). Olympic Blvd. received 6 votes, Venice Blvd. received 4 votes, and Santa Monica, Sunset, and Vermont tied with 3 votes each. When asked on a scale of 1 to 5, the importance of bikes lanes in your neighborhood, 70% of the respondents chose 5, being very important. Regarding parking on commercial corridors in the City of Los Angeles, 63.6% of the respondents chose “metered parking from 8 am to 6 pm Monday through Saturday,” as their first choice (out of five choices). 60% chose “no metered or permit parking at any time” as their last choice. When asked which two cities Los Angeles should emulate in terms of public transportation, the majority of the respondents chose San Francisco, followed by a tie between London and Portland. The purpose of this memo is to present the specifics of my final project case study for PPD 599. This proposal will lay the groundwork for my research and next steps for the project. The project I have chosen to investigate is Napa Redevelopment Partners’ Napa Pipe development. This 154-acre property located in south Napa County is occupied by large industrial buildings and is currently zoned for industrial uses. The proposed multi-use development seeks to remedy major challenges facing Napa County: California’s Housing Requirement must be met and there are not enough reasonably priced home for the 21,000 inbound commuters that work in Napa County each day. This proposed development, however, is extremely controversial, as Napa County has been an agricultural preserve since 1968 and the state has continually pressured the county to build more affordable housing to meet its housing requirements. The website “A Home for Napans” http://www.ahomefornapans.com clearly lays out the proposed project, the challenges it faces, and the history of the site, as well ways to get involved in the development process. This case study will hopefully reveal a best practice in online community engagement for controversial planning and real estate development projects. o	How has this online component affected the Napa Pipe development? o	How can all planning and real estate development projects utilize the web, even if they are less controversial than the Napa Pipe project? For my class, Internet Technologies and Planning, we were asked to create our own wiki, as well as contribute to the class wiki, “Best Places to Visit in Los Angeles.” A wiki is an editable website that can be shared between a number of people. My first experience with using a wiki was during the fall 2006 semester. For a USC urban design lab based on the rebuilding of USC, the students utilized a class wiki to present projects that would aid in the cities recovery. This wiki was only accessible by the students of the class, but some wikis, such as Wikipedia, are accessible, and editable, by the vast public. Wikis of this size tend to be self-correcting, as so many people are overseeing the site and watching out for the truth in the text. Here is a google map mashup of my 7 favorite spots in Silver Lake. You can click on each marker to learn more about the site.